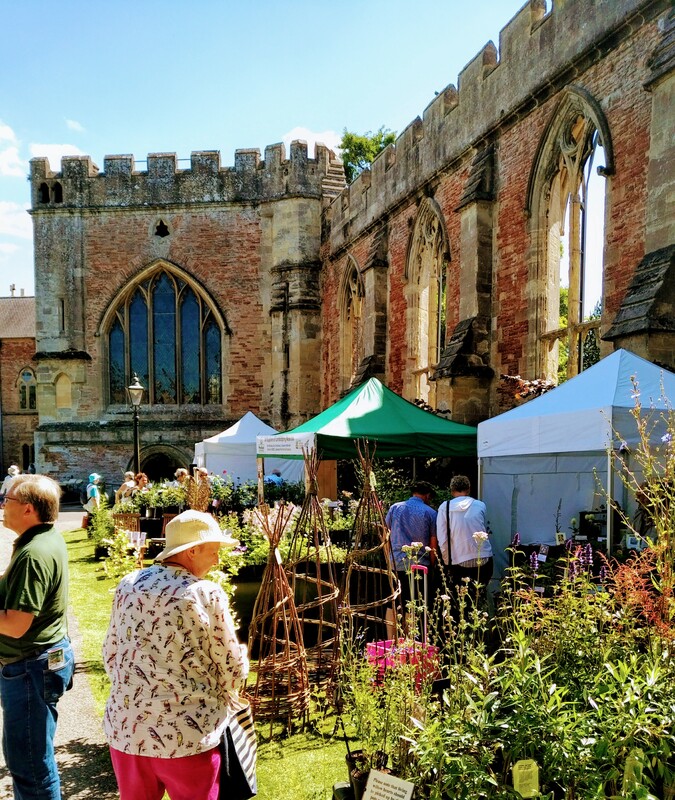 The Bishop’s Palace Country Garden Festival celebrates its 5th year this summer and will once again take over the splendid grounds of The Bishop’s Palace in Wells from 14th-16th June. The 14 acres of RHS partner gardens will be at their absolute peak; with parterres filled with the scent of myriad roses and dramatic borders aflame with summer colour, all set amongst the medieval ramparts of the ancient Palace and its famous well pools. The Country Garden Festival will fill the gardens with a range of stalls, including nurseries with rare and specialist plants, food and drink, garden gadgets and tools, sculpture, outdoor seating and paints, and many more, all designed to inspire you to love and use your garden. Some of the stalls will be hosting hands-on demonstrations to help you to learn new skills and improve your gardening knowledge. There will be a range of garden-themed talks from speakers such as Chris Beardshaw - award-winning British garden designer, plantsman, author, speaker and broadcaster for shows such as Gardeners Question Time and Gardeners’ World - and Tamsin Westhorpe - experienced horticultural journalist, gardener, RHS Chelsea Flower Show Judge and co-Chair of The Garden Media Guild. There will also be an opportunity to join Head Gardener, James Cross, and the garden team from the Palace for a very special Gardeners Question Time when they will attempt to answer all your problematic gardening questions. The team will also be offering regular Garden Tours throughout the long weekend, which are a perfect opportunity to get the inside story and behind-the-scenes scoop on what really goes on at these historic Gardens. Live music will be performed on the South Lawn and in the Chapel throughout the Festival, with a variety of top acts from around the South West to entertain visitors whilst they sit and soak up the atmosphere. Tickets, which are being sold in aid of The Palace Trust and its conservation work, are £9 Adult, £4 Child, £7 Groups of 10+ and Under 5’s are FREE, and can be purchased online, by telephone, or from the Visitor Centre from 1st April 2019.